Your wedding day will be the happiest day of your life, however the run up to the big day can be anything but – and that’s without mentioning the cost. By the time the wedding day arrives you might have been called bridezilla more times than you can count, argued with possibly every member of the wedding party – including the soon-to-be Mother in law – and gone way over budget. With so much to organise, it’s no wonder couples are straying from tradition and heading abroad for a destination wedding and honeymoon. The first thing to decide is your budget. 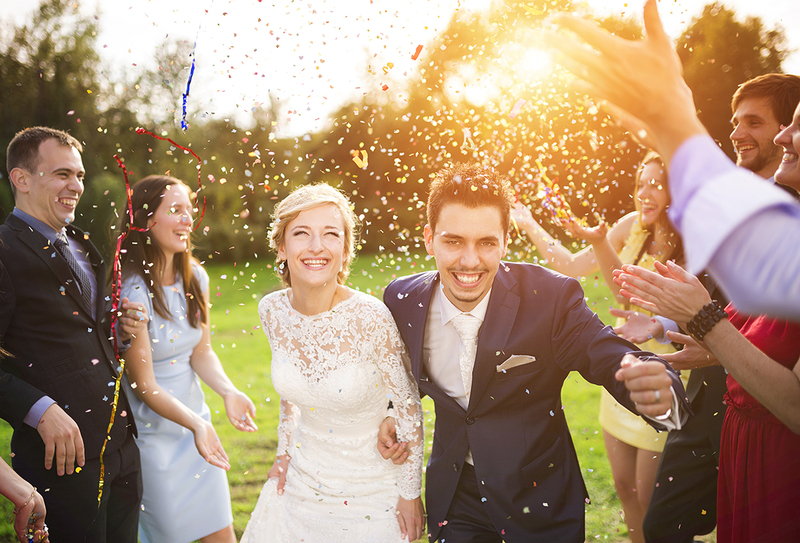 Although it is thought to be cheaper to host the ceremony abroad it can be incredibly stressful; what with language barriers, different time zone and change in currency – and not to mention the cost of getting your guests to the venue. Once you have an idea of how much money you have to spend, you will be able to pick suitable venues, accommodation, compose the guest list and find additional extras that you can afford. To save on cost some couples will ask their guests to pay for their flights and accommodation instead of buying a wedding present so this may be something worth considering. When planning a destination wedding abroad, the easiest thing to do is hire a wedding planner or book everything through a tour operator. Not only will they know the area, they will be able to negotiate with locals to get you the best price and make sure everything – including marriage certificates and other legal documents – is in place before the big day. One of the reasons for getting married abroad is to escape the unpredictable British weather, however it’s a good idea to do some research before choosing your location. You don’t want to be heading to the Caribbean in the middle of hurricane season likewise, standing on a beach in full wedding attire at the hottest time of the year may not be practicable. It may also be worth avoiding ‘peak times’ as this will not only keep the costs down but also the location is not as likely to be too busy. For those that need a little more convincing; a destination wedding is the perfect opportunity to host a stag and hen do, wedding ceremony and honeymoon all in one which will save you having to pay out for three modes of transport, accommodation and if you go all inclusive – drinks at the bar! Finally, unless you are getting married in a destination you have frequently travelled to, then – if your budget allows – it is worth travelling to the destination beforehand so you can meet with your wedding planner, look at venues for the ceremony and reception and if possible, meet suppliers to make sure you are happy with the products they are offering. It will also give you the opportunity to get to know the local area. Every month you will receive travel updates, advice for booking your next holiday and tips on how to understand your policy – and we promise to never share your email address! A package deal can be more cost-effective as you will be booking your wedding, flights, registrar, reception dinner, accommodation, food and drinks all in one go with the same provider. Some packages will also include a wedding planner and extras such as; wedding stationary and a reception drink for each guest to toast the happy couple. When researching package wedding deals, it’s a good idea to look at what is not covered as some packages will offer the bare minimum and it will be down to you to find a DJ, wedding cake, hair and makeup artist, florist, photographer etc. Some people dream of a princess wedding dress and why this may be absolutely fine at home, it’s may not be practical for a destination wedding. The same goes with suits, a three-piece suit will look incredibly smart but the you may end up loosing the best man half way through due to him overheating! For a beach wedding it is advised you stay away from heavy materials such as satin and instead opt for a lighter material, not only will it keep you cool when your saying your vows it will be easier to transport on and off the plane. For the groom and groomsmen, it may be more suitable to wear trousers and a smart shirt for a wedding in a hot climate and save the three pieces for if you decide to get married in a colder climate. Top Tip: Most brides will carry their wedding dress on the plane with them as hand luggage to make sure it is not delayed or lost when put with the rest of the cases and luggage. 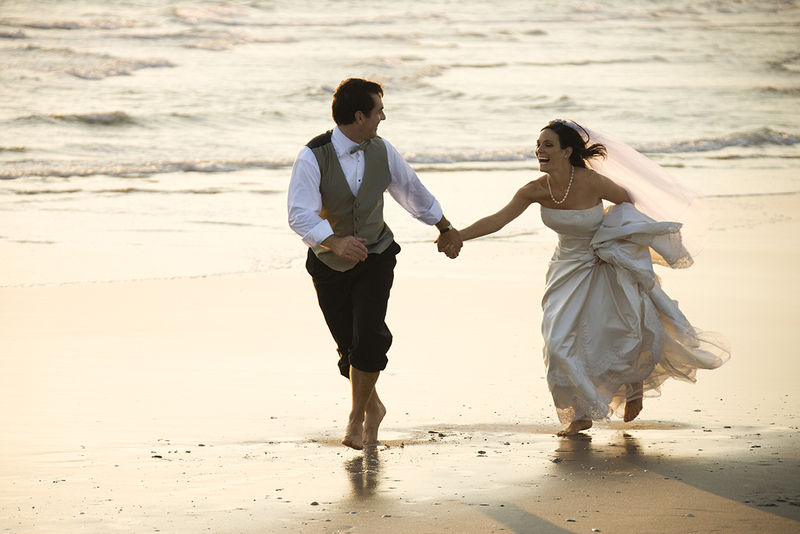 Depending on the destination you have chosen there will be legal requirements for getting married abroad. Your wedding planner or tour operator will know what these are but if you are planning the wedding yourself it is a good idea to call the embassy to find out what you will need. – A valid 10-year UK passport which is valid for at least 6 months after the date you are due to return back home. – A copy of your partners death certificate if you have been widowed. – A copy of your decree absolute if you are divorced. – A copy of the original deed poll if you have changed your name. – A copy of your original adoption certificate if you were adopted. 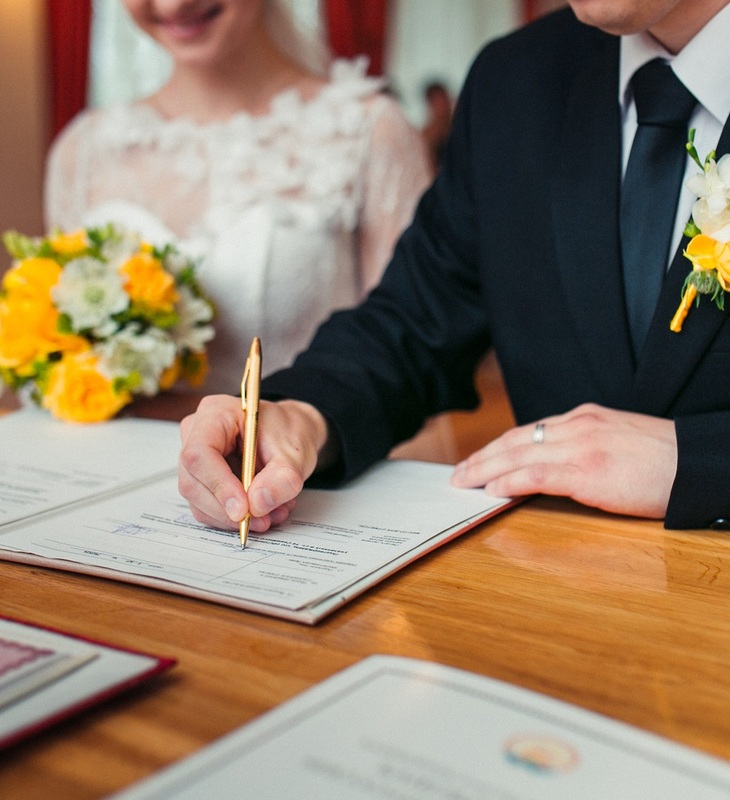 The above documents may need to be sent to the venue up to three months before the wedding, as the length of time in which they need the documents may vary it is a good idea to call the embassy or check with your wedding planner. You will also need to take the original documents with you when you travel – the last thing you want to do is arrive at the destination to be told you are unable to wed. Many couples who marry abroad will question whether their wedding is legal in the UK, this will completely depend on where you get married and the type of ceremony you have. The Foreign and Commonwealth Office (FCO) advises all couples to speak to a lawyer to see if the marriage is recognized in the UK. Before getting married abroad you may have to spend a minimum amount of time in the country beforehand – again, this will depend on the destination. As well as covering for cancellation, personal possessions and medical expenses some travel insurance companies will offer a ‘wedding travel insurance extension’ which is designed to cover the items that do not fall under the tour operator or wedding planner’s responsibility. This specialist policy will include cover for your wedding rings if they are lost or stolen, the loss of wedding gifts given to you when you’re abroad, cover for wedding attire and cover if your wedding photographs are lost or damaged. As cover limits will vary between policies we recommend you read the policy wording carefully to make sure you are buying cover that is suitable for your needs. You can now get married on a cruise ship and spend your honeymoon travelling to several countries with your guests! Whether you choose to say ‘I Do’ in the middle of the ocean or on a sun-soaked Caribbean Island, a wedding at sea just oozes romance. Check with the cruise company beforehand as they may stipulate the ceremony needs to take place before the ship leaves the port. Imagine getting married in a quaint church and having your wedding pictures taken in front of picturesque glaciers and snow-covered mountains. Iceland is the perfect location for a magical winter wedding – and it’s not too far for your guests to travel. If you are looking for a romantic beach wedding then the Caribbean has every type of beach to offer; whether you want white, black or pink sand, palm trees or cliffs, a private beach or a festival celebration… there really is something for everyone. Many who marry abroad will still want the traditional feel of a UK wedding ceremony and Cyprus has an array of churches for you to choose from. Choose a charming village church or one with a beach view… either way you will be able to achieve a mixture of tradition and modern living. 1. 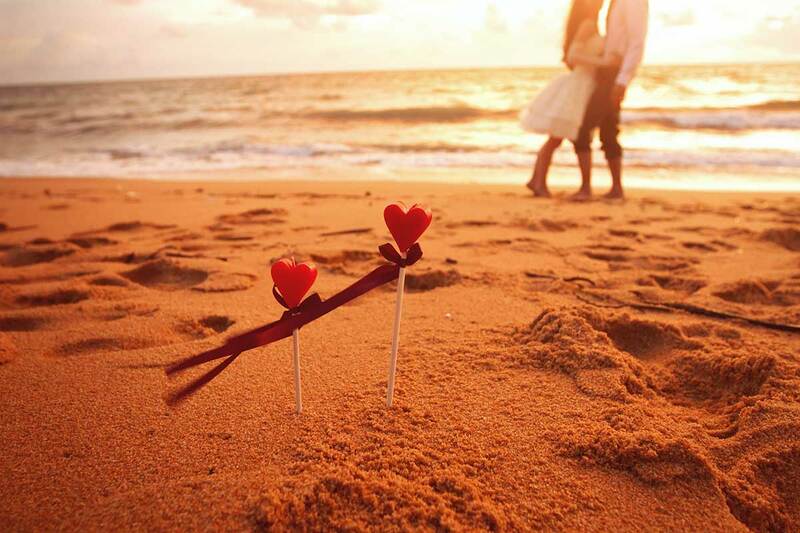 We know you will be excited to use your married name but if you are planning a destination wedding we recommend keeping all the travel and booking documents in your maiden name and then changing your passport when you return home. If the name on your documents do not match, it could cause an issue with the registrar or if you need medical treatment abroad. 2. If your budget will allow it would be a good idea to hire a villa for the wedding, this way your guests have somewhere to stay and can save on hotel costs. If you are planning to have the ceremony and reception in the villa then it may be worth asking you guest to ‘chip in’ on the cost as a wedding present as opposed to buying a traditional gift. 3. If you are heading to a hot climate – pack the sun cream and smother it on daily! The last thing you want is to be glowing in your wedding pictures and wincing through the first dance because your sunburn is too painful to touch. 4. Before heading away make a list of everything you will need to take with you. The last thing you want to do is forget your wedding shoes and have to wear flipflops down the aisle. Travel Insurance Facilities Plc: is registered in England No.3220410. Registered Office: 1 Tower View, Kings Hill, West Malling, Kent, ME19 4UY.